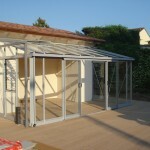 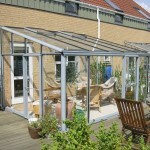 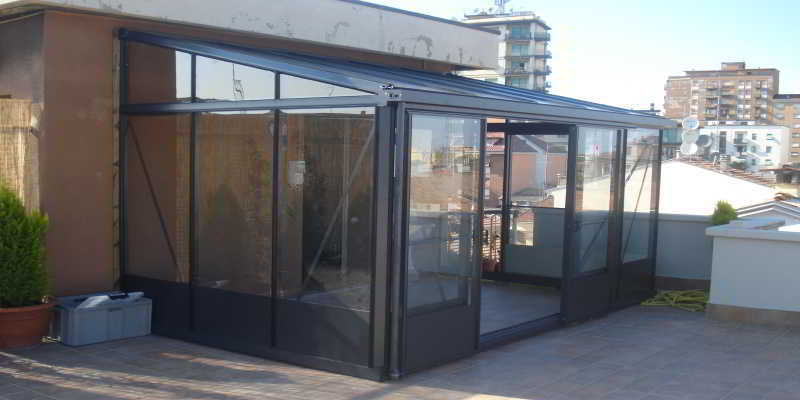 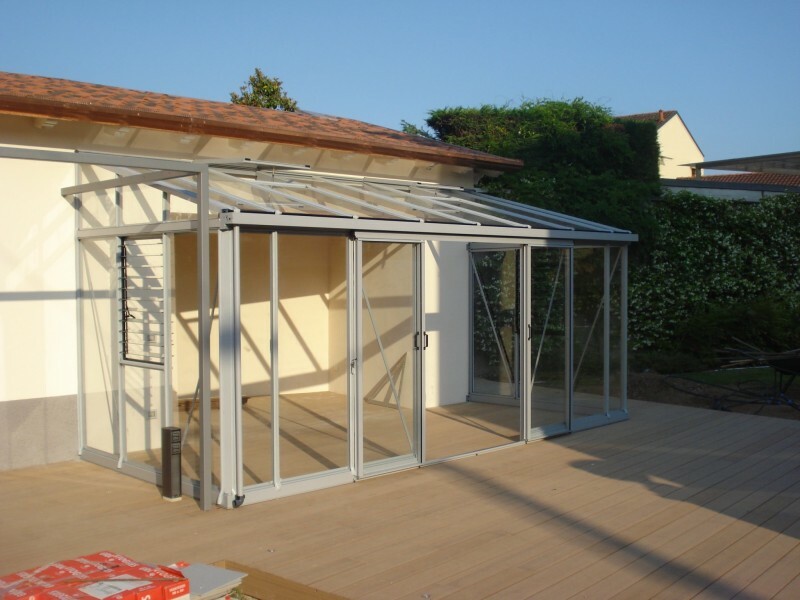 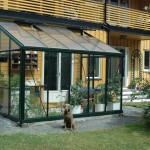 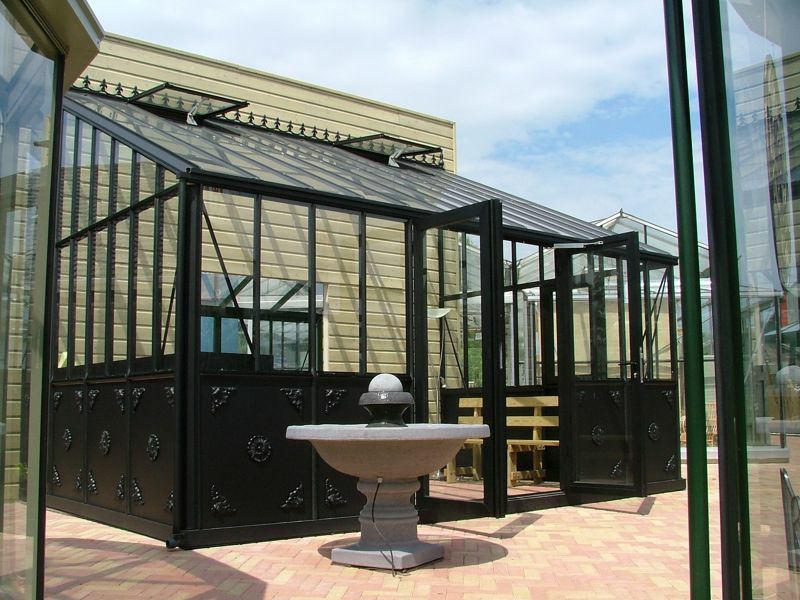 Arcadia Plus Lean-to Greenhouses offer amazing flexibility in design. 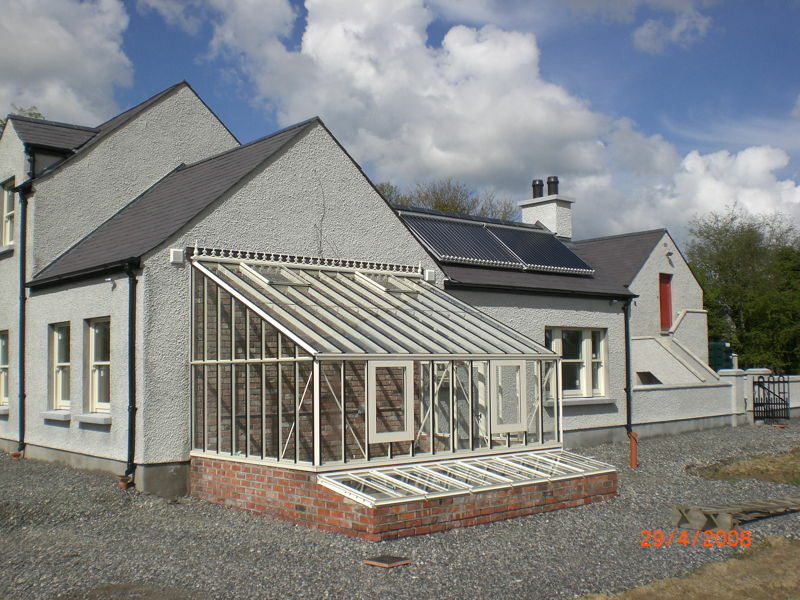 You can specify the ridge height you would like (within a certain range), special curved and hip gable ends can be ordered and we can even modify the width and length if needed. 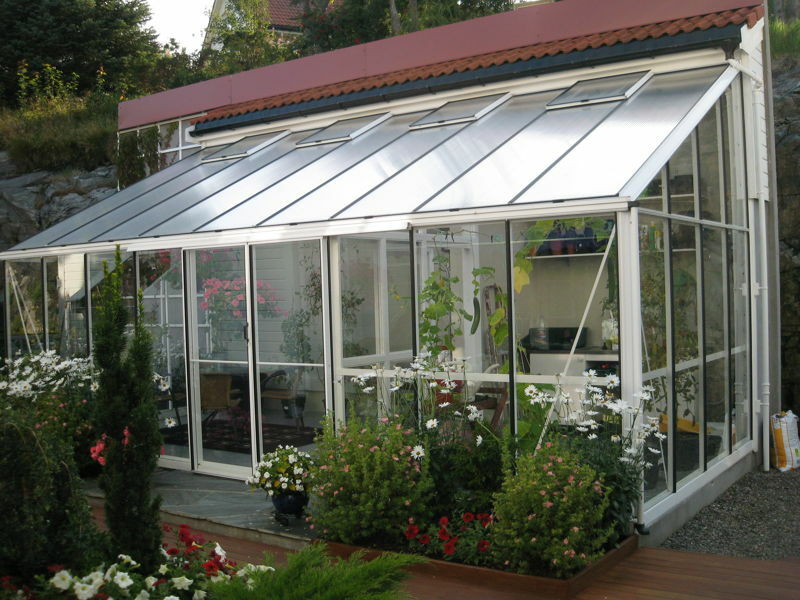 This range is made with the same very strong box section aluminium profiles as the Helios Greenhouses but also some even larger profiles making them even stronger. 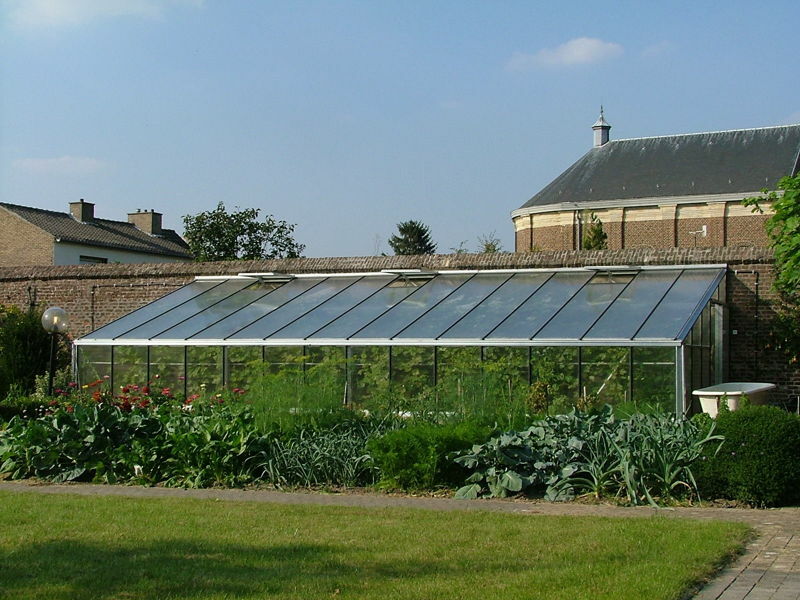 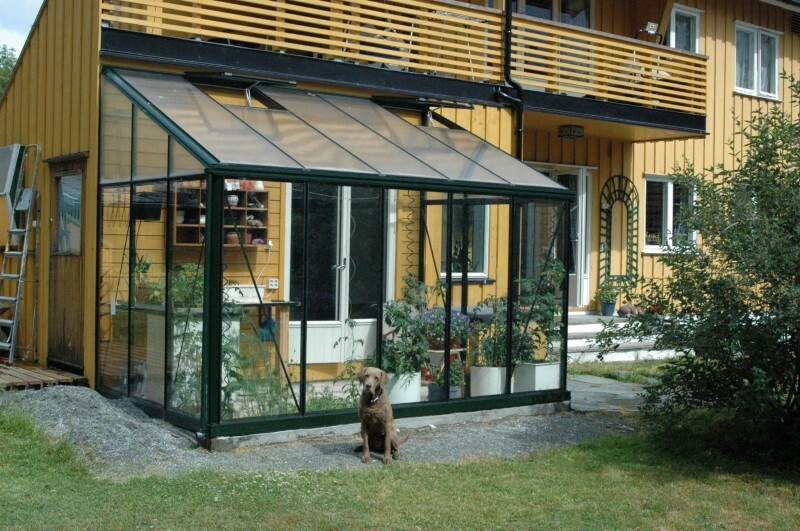 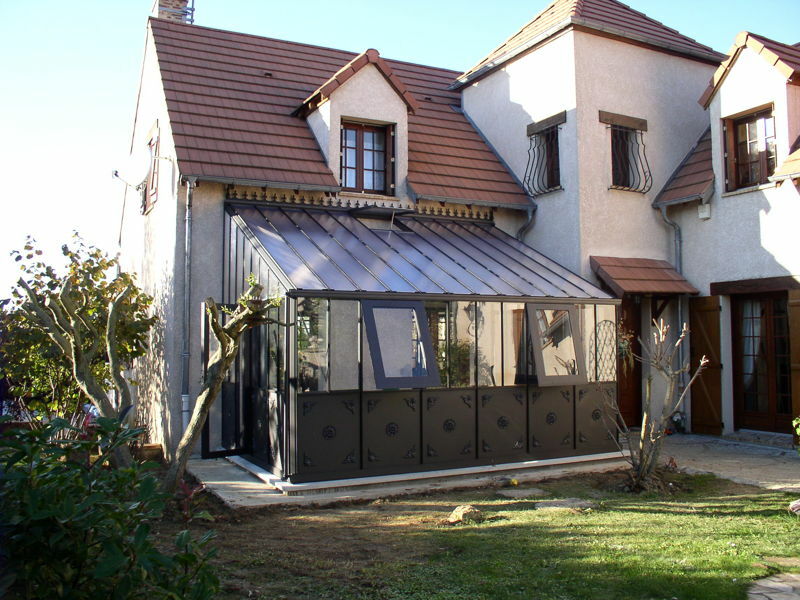 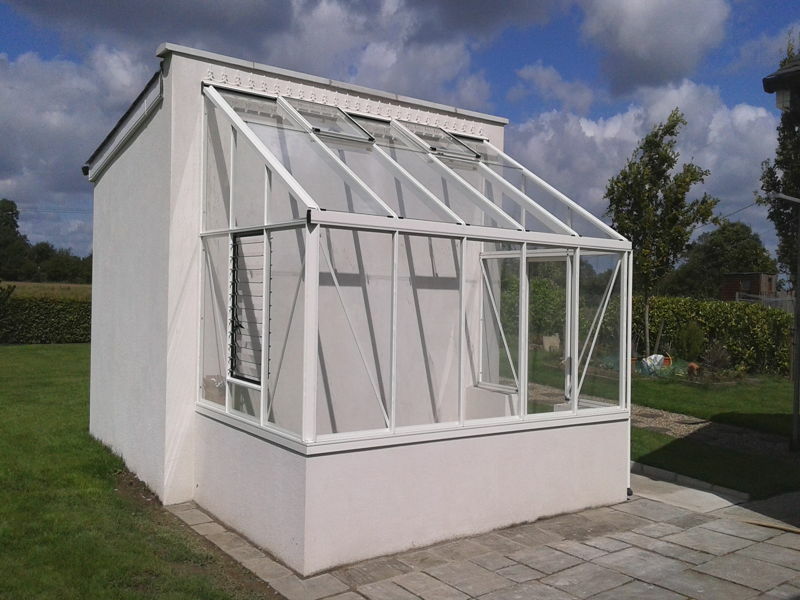 Fantastic range of choices Fantastic range of choices available to make your dream Greenhouse a reality – but unlike most other models in our range these also have flexibility in terms of size – width, length and height and even the shape of the gable ends. 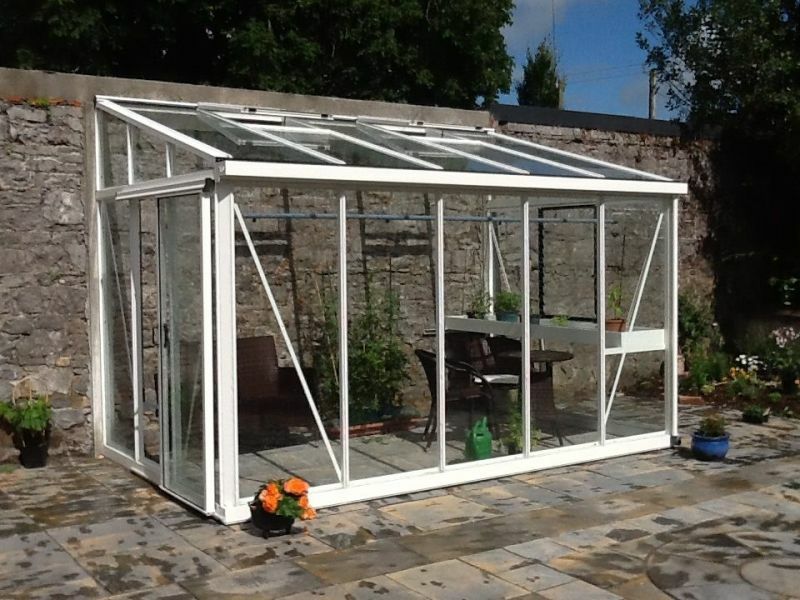 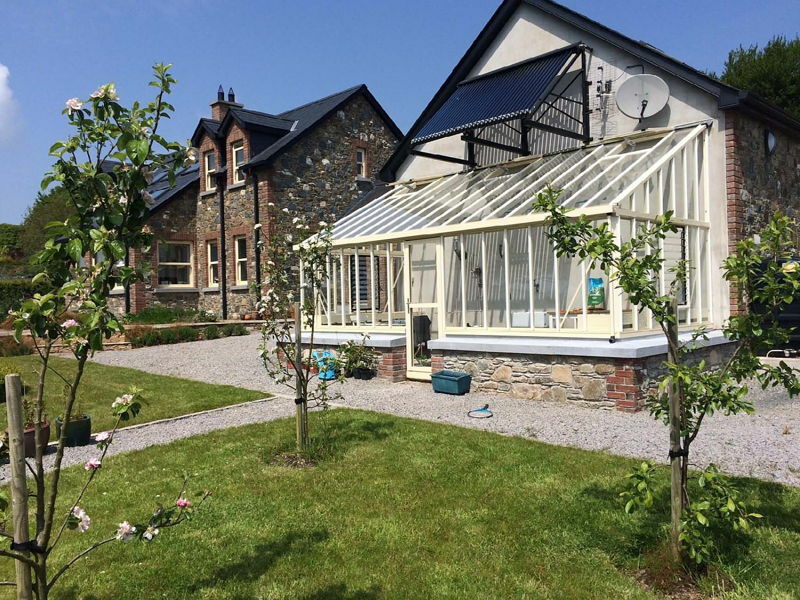 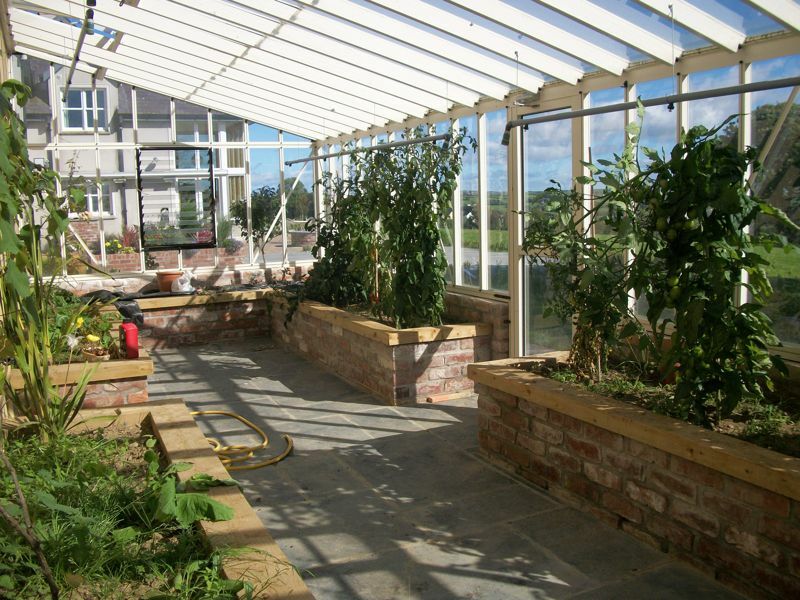 Manufactured with strong aluminium profiles, 4mm toughened glass, full length rubber glazing strip and with storm bracing available, Arcadia Plus Greenhouses are an investment in quality and strength (much needed in Ireland which is a country with no shortage of wind). 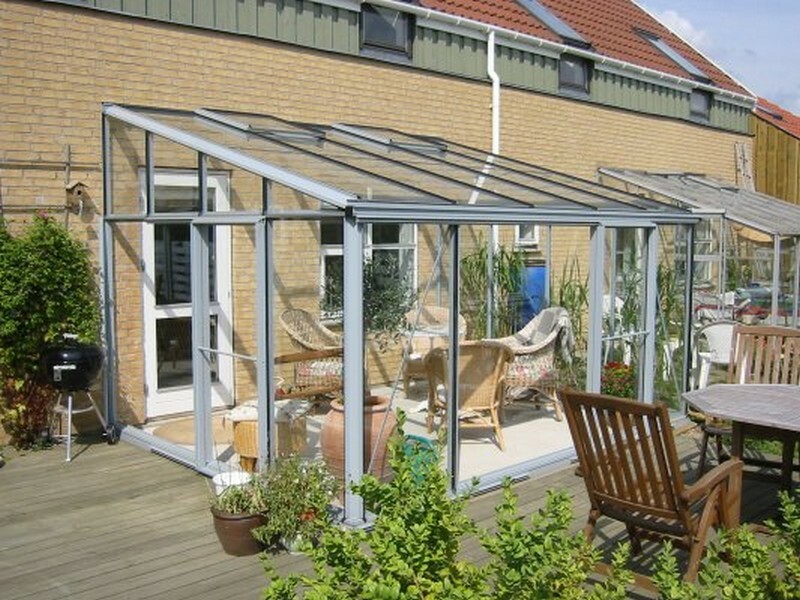 With up to 3.05m wide models available and 2m eaves height as standard Arcadia Plus Greenhouses give you lots of room for relaxation and enjoyment.